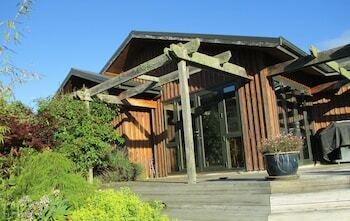 With a stay at Leithview Bed & Breakfast in Dunedin, you'll be within a 10-minute drive of Otago Museum and Olveston. Free self parking is available onsite. With a stay at Pacific View Bed and Breakfast in Wellington, you'll be within a 15-minute drive of Wellington Zoo and Breaker Bay. Free self parking is available onsite. When you stay at Beachfront Pacific Paihia in Paihia, you'll be on the waterfront and convenient to Paihia Wharf and Paihia Beach. Free self parking is available onsite.